Having a party for a birthday or anniversary? Then please ask for donations to Remap instead of presents, it makes a perfect gift and is very easy to do. Through our partner JustGiving, it couldn’t be easier to create your very own ‘In Celebration’ JustGiving page . 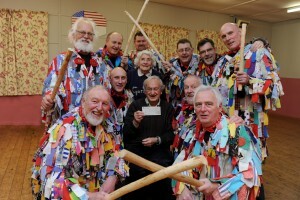 On your page you can upload pictures of your celebration and tell the story of why you are raising money for Remap. The page also gives your guests the opportunity to add a message to the page when making a donation online. Sharing your page is simple via email, Facebook and Twitter, making it easy to fundraise and celebrate your special occasion. Join 2019 Prudential RideLondon-Surrey 100, the world’s greatest festival of cycling taking place on Sunday 4th August 2019! As well as an opportunity to take on a personal challenge in completing the ride, help Remap raising money to support even more disabled people this year. 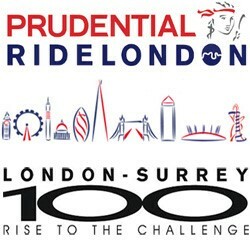 Want to know how can you enter Prudential RideLondon-Surrey 100? 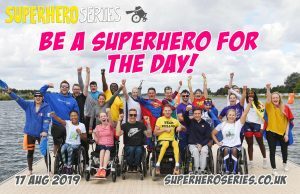 Help Remap raising money by taking part in the Superhero series! What is this challenge? It’s big. It’s bold. It’s gutsy. It’s the UK’s one and only disability sports series for the Everyday Superhero! The Superhero Tri offers three uniquely designed challenges that let you do as little or as much as you want with as little or as much support as you need. There are three very different ways to take part. You can fly solo, unite with family and friends, or grab a Sidekick. Making a donation in memory of a loved one is a wonderful living tribute and helps to ensure that our work continues to help thousands of more people. Through JustGiving, you can easily create your own JustGiving page in memory of your loved one. On this page you can use words, photos and film clips to tell the story of the person you are remembering, explain why you are supporting Remap and what fundraising you are doing to raise funds. The page also offers the opportunity for people to add a tribute or message of condolence to the page when making a donation online. We are always grateful to people who choose to support our work by holding a collection at a funeral or memorial service. By supporting our work at this difficult time, you are helping support our charity.